The Duke and Duchess haven’t let fans down with their new Instagram account, sharing a new photo or photo series every day since it went live earlier this week. And their latest post is no exception, showing a collection of photos of the couple partaking in activities related to one of their shared interests, conservation. Adorably, one photo shared shows Harry and Meghan on one of their many visits to Botswana, helping non-profit organisation Elephants Without Borders. The picture, which is previously unseen, dates back to 2017, when the now-married couple were still dating – sweet! In the photo, Harry and Meghan are seen fitting an elephant with a satellite collar, which allows conservationists to track their movements and migratory patterns to protect them from poachers. In the post, the couple also shared a short video of the elephant getting back up after Harry and Meghan had fitted the collar. It’s thought that the candid image, from the couple’s own personal photo albums, was taken on their second or third trip to Botswana. 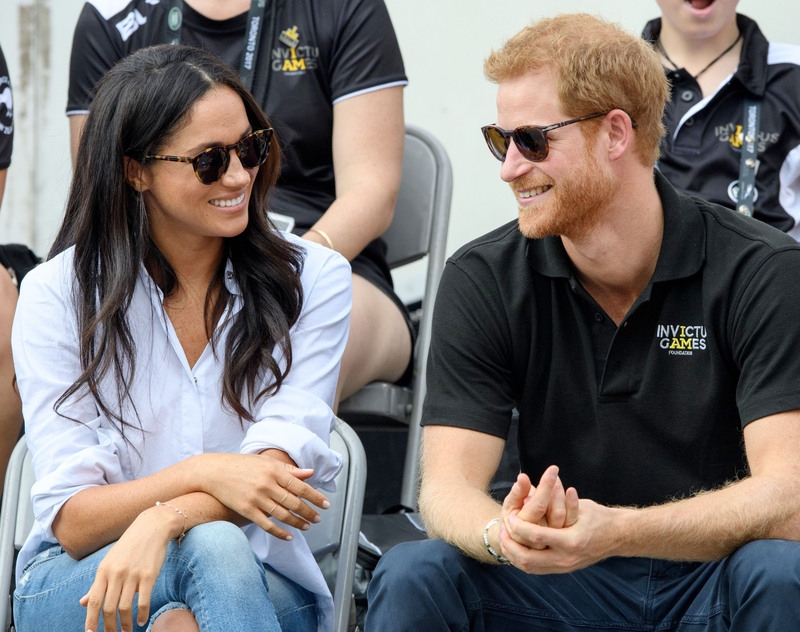 It’s a special place for Prince Harry, and during the couple’s engagement interview, he revealed that he took Meghan to the African country just weeks after they first met. Other images in the Instagram series include a black and white photo of Harry alongside Prince William, Prince Charles and Sir David Attenborough at the Natural History Museum last night (Thursday), as they attended the premier of the new Netflix show Our Planet.